I am continually surprised and delighted to work with diverse groups of people on outdoor collaborative mural projects. My most recent project, taking place in Oakland, CA, expanded my understandings of creativity, the arts, and self expression immensely. The project was an inclusive and exciting collaboration between three entities: Creative Growth Arts Center, method cleaning supplies, and myself! With full support and sponsorship from method, I went to Creative Growth's beautiful space to teach a half-day mural workshop with several of their artists. The day began with a presentation on the history of mural making and human beings painting their surroundings, with a focus on contemporary urban art. We brainstormed ideas, themes and styles, and talked about other murals and street art they have seen around the city. I then lead the group through several mural design activities. From our conversations and sketches that day I then created a mural design that is meant to show the collaborative effort from all three entities involved with the project. We decided to focus the design toward abstraction, with bright colors, lots of movement, and a graspable balance of dualities. The project strengthened my belief that creativity is inherently human and cannot be confined by any perceived or recognized limitations. 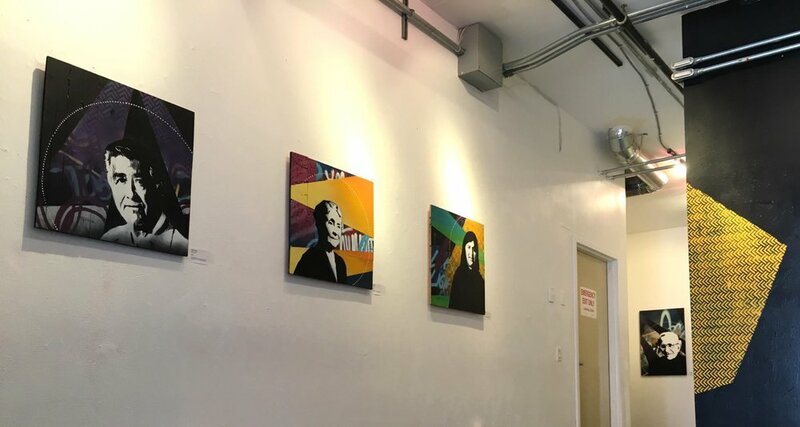 Creative Growth Art Center is a nonprofit that serves artists with developmental, mental and physical disabilities, providing a professional studio environment for artistic development, gallery exhibition and representation and a social atmosphere among peers. The experience of working with this group was wonderful! As an anthropologist I am endlessly curious of how culture, history, environment, and personal experience inform our creative pursuits. The artists from Creative Growth were not only talented, but brought a sense of pure joy and playfulness to the project; something that I feel can be so easily lost in the professional art world. Creative Growth and method had an already existing partnership, where four artists produced original work for a limited edition run of method cleaning supplies. This cross-industry collaboration surprised and delighted me. 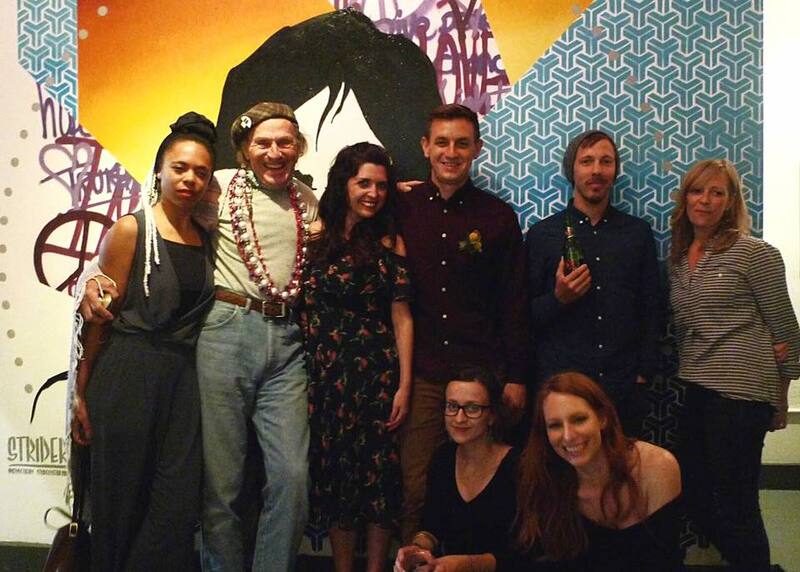 After I was brought into the mix to bring my collaborative mural making experience, this collection of diverse people from different places was exciting. Creative Growth has been doing their incredible work for decades now, and method has been actively reaching far beyond their own industry of environmentally conscious cleaning products. These two inspiring stories resonated greatly with me, and as a whole, our values were incredibly aligned. I believe that is visually represented in the mural we created, the memories we made, and hopefully that will be felt by those who see the mural! Emotion, connection, and energy - these are the conceptual elements that have emerged from the workshop, conversations, and experiences between the artists at Creative Growth, Strider Patton, and our friends at method. From these interactions, Strider has created a mural design that is meant to tell a story, evoke feeling, and to give back to the surrounding community. 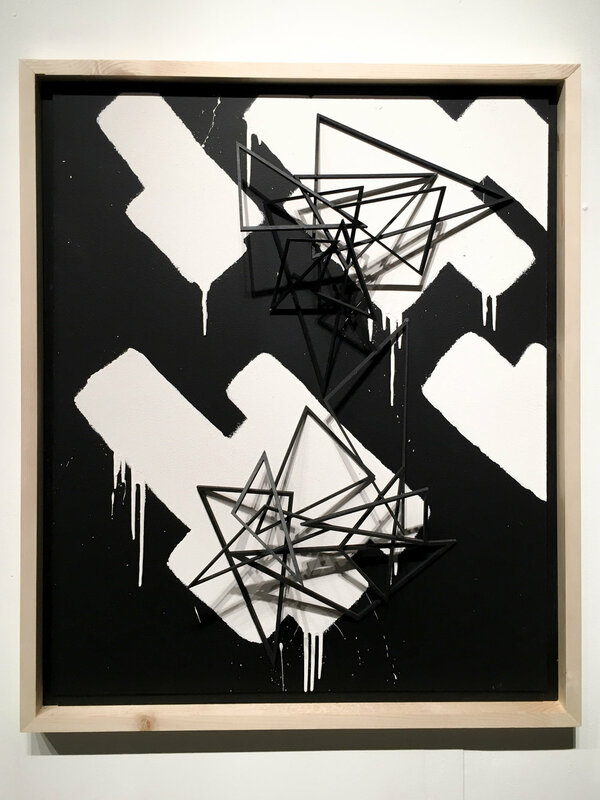 Purposefully staying away from any figurative imagery, the mural is an example of contemporary abstract urban art. The story is of the project in itself, a visual narrative of what artistic collaboration looks like when perceived barriers are overcome. The skill, joy, and passion of the artists at Creative Growth began this collaboration. Creativity comes in as many forms as there are colors, as anyone who has stepped into Creative Growth quickly understands. As a collaborative muralist, Strider immediately recognized the potential for a most unique project with these talented artists. He held a half day mural workshop with participants at Creative Growth, and from their shared experience, a mural concept began to grow. 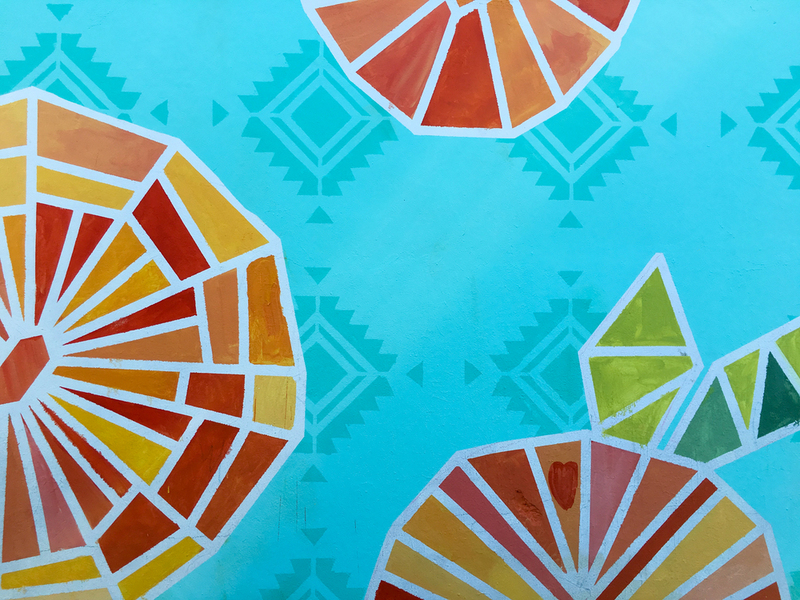 Connecting elements from Creative Growth artists with elements of Strider’s own artistic style, the mural design weaves together bright colors and layered patterns into a spanning composition. There is a sense of energy and connection from Strider’s signature flow design, with thick black lines rolling across the wall, leading the observer’s eye over its surface with a sense of powerful movement. Vibrant colors, introduced from palettes used by Creative Growth artists, and method's bold branding, are meant to instill contemplative emotion and feeling. And coming from both Creative Growth artists and Strider, the use of repetitive patterns flourish within the design, upholding a balance of true collaboration. Continuing with method’s tradition of designing for good, It is with great hope that the mural will brighten the surrounding community, to invite observers to pause and reflect, and to stand as a visual representation of what people can do when they work together, from all parts of society. Form and color have a powerful way to remind us of what is good in the world, of what is possible, and of our own shared humanity. In the spring of 2017 I finished my first artist-in-residence program with TechShop in San Francisco. 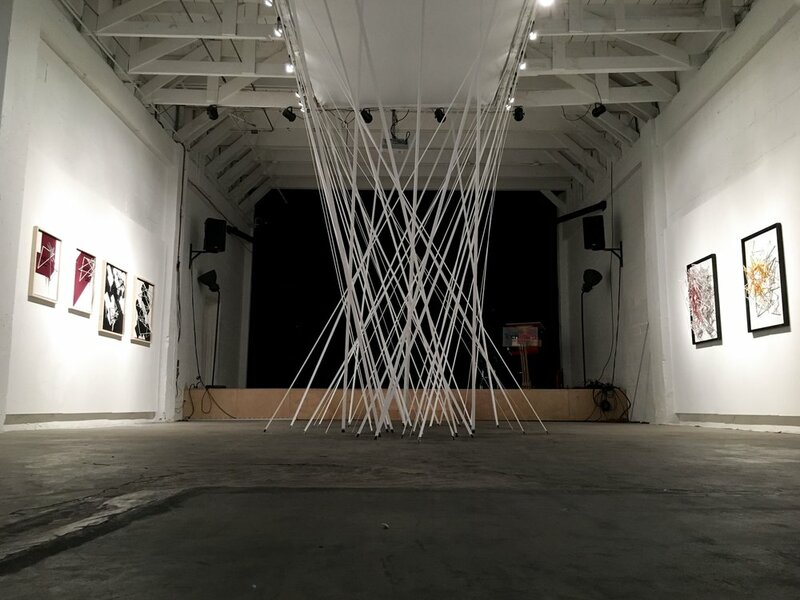 A residency program, which can be described as an opportunity for artists to create, research, and learn within a new space or community, is a milestone in any artists career. I have always wanted to participate in a residency program since I began painting more seriously in my mid 20s. 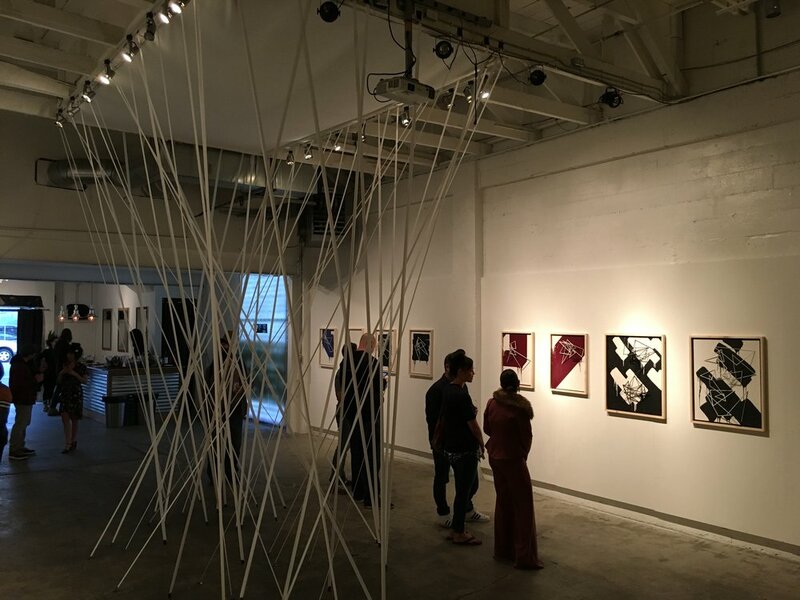 Heuristic Forms is a visual exploration into the intersections of identity, form, culture, space, and connection. 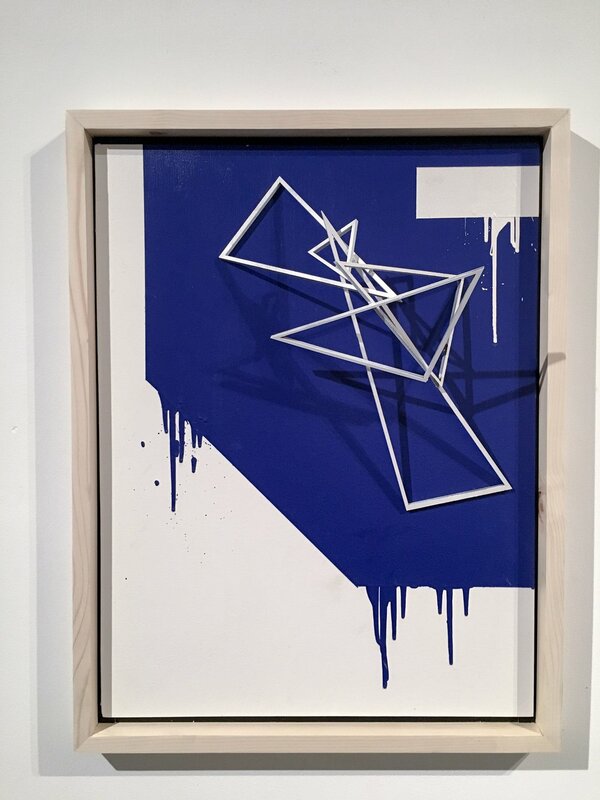 This new body of work by Strider is unlike anything from his past 10 years as a working artist. 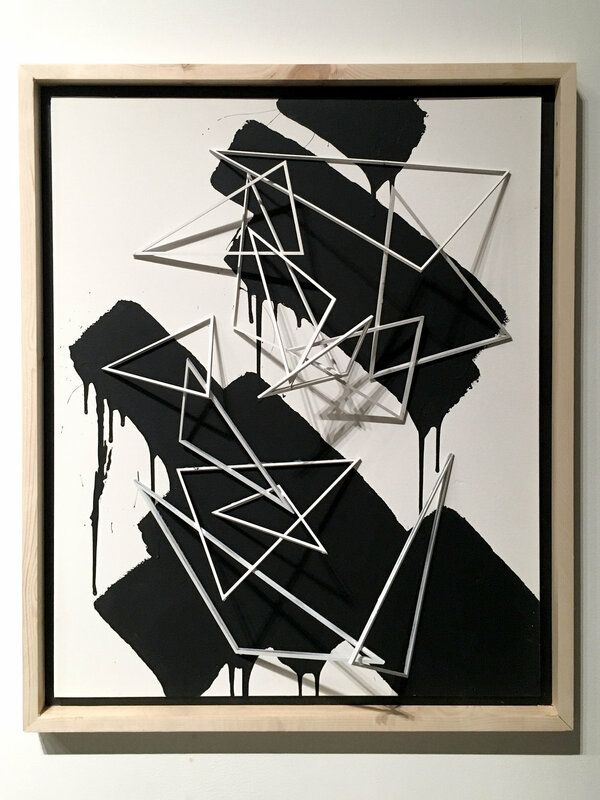 Through this residency program and exhibition, Strider has bridged his understandings of painting with his new findings in sculptural form, navigating the powerful connections between space, value, depth, gravity and shadow. 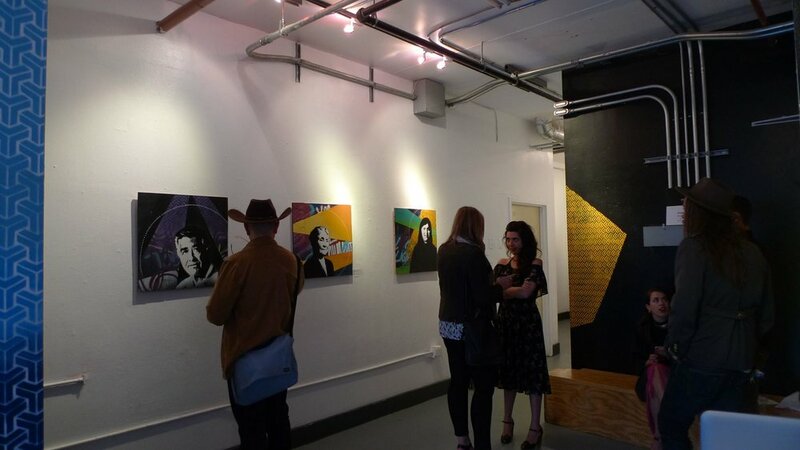 I recently opened my first solo show in San Francisco, CA, at Roll Up Gallery in the Mission District. The show is titled "Idols" and will run for one month, from July 29th to August 29th 2016. This series is made to celebrate and honor those who have shared their skills, experiences, and passions to help make the world a better place. Todays world has a false sense of idolism, with celebrity and stardom status being given to those who only seek to better themselves. Through this work, I have imagined what the world could be like if we idolized those who have and are giving their all for us. What do you think the world would be like if their names were household names instead of those who only care about me? I created 8 new works that featured an individuals portrait as the main focus of each piece with my halftone stencil style. 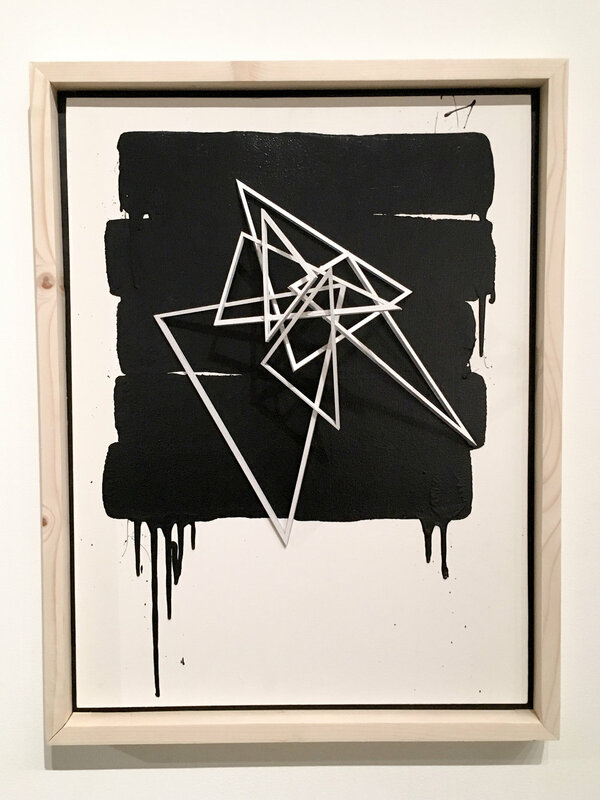 The background of each work are abstractions of color fields, gradients, patterns, and words and passages with tags and graffiti. Choosing the 8 people to be featured as Idols was at first daunting, with the thought of how I am going to choose just 8, but then exciting. I knew I wanted to feature some well known figures - Gandhi, Cesar Chavez - but also some current activists - Malala Yousafzai, Rigoberta Menchu - and others who many not be as recognized for their social and political work - Helen Keller, Noam Chomsky, Berta Caceres, Zapatista Woman. I quickly realized in the research phase that I cannot represent everyone in one show. I then thought, "I could have an Idols show every year and still be finding new figures to showcase." The pressure I was feeling for deciding who to represent was then lifted. I was so happy with the final choices, as I have people represented from the past and present, different cultures, different genders, and different struggles. I very much want to have another Idols show in the future. In preparation for my solo show "Idols" at Roll Up Gallery, San Francisco, in 2016, I made this little video showing some of the process involved with making the wood panels that I paint on. Berta was a Honduran environmental activist, indigenous leader of her people, and co-founder and coordinator of the Council of Popular and Indigenous Organizations of Honduras (COPINH). She won the Goldman Environmental Prize in 2015, for "a grassroots campaign that successfully pressured the world’s largest dam builder to pull out of the Agua Zarca Dam" at the Río Gualcarque. She led campaigns on a wide variety of issues, including protesting illegal logging, plantation owners, and the presence of US military bases on Lenca land. She supported feminism, LGBT rights, as well as wider social and indigenous issues. She was assassinated in her home by armed intruders, after years of threats against her life. Twelve environmental defenders were killed in Honduras in 2014, according to research by Global Witness, which makes it the most dangerous country in the world, relative to its size, for activists protecting forests and rivers. Cesar was an American labor leader and civil rights activist who co-founded the National Farm Workers Association (later the United Farm Workers union, UFW) in 1962. Originally a Mexican American farm worker, Chavez encountered the conditions that he would dedicate his life to changing: wretched migrant camps, corrupt labor contractors, meager wages for backbreaking work, bitter racism. He became the best known Latino American civil rights activist, and was strongly promoted by the American labor movement, which was eager to enroll Hispanic members. His public-relations approach to unionism and aggressive but nonviolent tactics made the farm workers' struggle a moral cause with nationwide support. By the late 1970s, his tactics had forced growers to recognize the UFW as the bargaining agent for 50,000 field workers in California and Florida. For thirty years Chavez tenaciously devoted himself to the problems of some of the poorest workers in America. The movement he inspired succeeded in raising salaries and improving working conditions for farm workers in California, Texas, Arizona, and Florida. Malala is a Pakistani activist for female education and the youngest-ever Nobel Peace Prize laureate, in 2014 at age 17. She is known mainly for human rights advocacy for education and forwomen in her native Swat Valley in the Khyber Pakhtunkhwa province of northwest Pakistan, where the local Taliban had at times banned girls from attending school. Yousafzai's advocacy has since grown into an international movement. Yousafzai attended a school that her father, Ziauddin Yousafzai, had founded. After the Taliban began attacking girls' schools in Swat, Malala gave a speech in Peshawar, Pakistan, in September 2008. The title of her talk was, "How dare the Taliban take away my basic right to education?" In early 2009, Yousafzai began blogging for the BBC about living under the Taliban's threats to deny her an education. In order to hide her identity, she used the name Gul Makai. However, she was revealed to be the BBC blogger in December of that year. As a child, she became an advocate for girls' education, which resulted in the Taliban issuing a death threat against her. On October 9, 2012, a gunman shot Malala when she was traveling home from school. She survived, and has continued to speak out on the importance of education. Gandhi was the preeminent leader of the Indian nationalism in British-ruled India. Employing nonviolent civil disobedience, Gandhi led India to independence and inspired movements for civil rights and freedom across the world. The honorific Mahatma (Sanskrit: "high-souled", "venerable") — applied to him first in 1914 in South Africa,—is now used worldwide. He is also called Bapu (Gujarati: endearment for "father", "papa") in India. In common parlance in India he is often called Gandhiji. He is unofficially called the Father of the Nation. Gandhi famously led Indians in challenging the British-imposed salt tax with the 400 km (250 mi) Dandi Salt March in 1930, and later in calling for the British to Quit India in 1942. He was imprisoned for many years, upon many occasions, in both South Africa and India. Gandhi attempted to practise nonviolence and truth in all situations, and advocated that others do the same. He lived modestly in a self-sufficient residential communityand wore the traditional Indian dhoti and shawl, woven with yarn hand-spun on a charkha. He ate simple vegetarian food, and also undertook long fasts as a means of both self-purification and social protest. Helen was an American author, political activist, and lecturer. She was the first deaf-blind person to earn a bachelor of arts degree. The story of how Keller's teacher, Anne Sullivan, broke through the isolation imposed by a near complete lack of language, allowing the girl to blossom as she learned to communicate, has become widely known through the dramatic depictions of the play and film The Miracle Worker. Her birthplace in West Tuscumbia, Alabama, is now a museum and sponsors an annual "Helen Keller Day". Her birthday on June 27 is commemorated as Helen Keller Day in the U.S. state of Pennsylvania and was authorized at the federal level by presidential proclamation by President Jimmy Carter in 1980, the 100th anniversary of her birth. A prolific author, Keller was well-traveled and outspoken in her convictions. A member of the Socialist Party of America and the Industrial Workers of the World, she campaigned for women's suffrage, labor rights, socialism, antimilitarism, and other similar causes. She was inducted into theAlabama Women's Hall of Fame in 1971 and was one of twelve inaugural inductees to the Alabama Writers Hall of Fame on June 8, 2015. Noam is an American linguist, philosopher, cognitive scientist, historian, logician,social critic, and political activist. Sometimes described as "the father of modern linguistics", Chomsky is also a major figure in analytic philosophy, and one of the founders of the field of cognitive science. He has spent more than half a century at the Massachusetts Institute of Technology (MIT), where he is Institute Professor Emeritus, and is the author of over 100 books on topics such as linguistics, war, politics, and mass media. Ideologically, he aligns with anarcho-syndicalism and libertarian socialism. Chomsky is an oft-cited scholar whose work has influenced a wide array of academic fields. He is widely recognized as a paradigm shifter who helped spark a major revolution in the human sciences, contributing to the development of a new cognitivistic framework for the study of languageand the mind. In addition to his continued scholarly research, he remains a leading critic of U.S. foreign policy, neoliberalism and contemporarystate capitalism, the Israeli–Palestinian conflict, and mainstream news media. His ideas in these areas have proved highly significant within the anti-capitalist and anti-imperialist movements. Rigoberta is a K'iche' political activist from Guatemala. Menchú has dedicated her life to publicizing the rights of Guatemala's indigenous feminists during and after the Guatemalan Civil War (1960–1996), and to promotingindigenous rights in the country. She received the Nobel Peace Prize in 1992 and the Prince of Asturias Award in 1998. She is the subject of the testimonial biography I, Rigoberta Menchú (1983) and the author of the autobiographical work, Crossing Borders. Menchú is a UNESCO Goodwill Ambassador. She has also become a figure in indigenous political parties and ran for President of Guatemala in 2007 and 2011. The Zapatistas are a revolutionary leftist political and militant group based in Chiapas, the southernmost state of Mexico. They have spokespeople, but no leader. Their strength is in all of them, and Zapatista women have been influential in the movement. Since 1994, the group has been in a declared war "against the Mexican state", and against military, paramilitary and corporate incursions into Chiapas. This war has been primarily defensive. In recent years, it has focused on a strategy of civil resistance. The Zapatistas' main body is made up of mostly rural indigenous people, but includes some supporters in urban areas and internationally. In the 1990s, one-third of the insurgents were women and half of the Zapatista support base was women. The EZLN organization style involved consensus and participation by everyone, including women and children. Therefore, one aspect of the EZLN’s ideology was gender equality and rights for women. After the Zapatista uprising in Chiapas, the EZLN announced the Women’s Revolutionary Law which was a set of ten laws that granted rights to women regarding marriage, children, work, health, education, political and military participation, and protected women from violence. Although the ideology of the EZLN reflects libertarian socialism, paralleling both anarchist and libertarian Marxist thought in many respects, the EZLN has rejected and defied political classification, retaining its distinctiveness due in part to the importance of indigenous Mayan beliefs in Zapatismo. The EZLN aligns itself with the wider alter-globalization, anti-neoliberal social movement, seeking indigenous control over their local resources, especially land. Since their 1994 uprising was countered by the Mexican army, the EZLN has abstained from military offensives and adopted a new strategy that attempts to garner Mexican and international support. Through an Internet campaign, the EZLN was successful in extending an understanding of their plight and intentions to the public. With this change in tactics, the EZLN has received greater support. I've been paying close attention to the "refugee crisis" happening the better part of this last year. There are many issues involved with this very broad and general title. Issues like: war, peace, hope, tragedy, future, past, present, individual, society, migration, boarders, terror, distance, economics, duty, family, and home. The situation is immense and immediate. I wanted to paint a mural to raise attention toward the notions of refugees, immigrants, migration, and borders. One of my best friends and fellow artists, Max Ehrman, and I were talking about these issues one day and we began sketching. Instead of painting imagery depicting walls and borders, strangers and masses of people, we decided to direct the imagery to be more personal. We wanted real portraits of real people, in delicate bubbles of sky and stars, floating in the midst of linear lines that fade in and out, and a cloud of organic matter. I began to research and quickly was in the midst of hundreds of images of refugees online. I wanted to be more specific. I narrowed my search to children, caught in the change of leaving their only notion of home. Then I came across 3 specific stories, from different photographers and projects. 5 year old Zein al-Houssein. "I need to live as other children and play football," he stated to photographer Alex Oberg. Zein fled Syria with his father and brother, and they are now in Turkey with the hopes of reaching Sweden. I found Zein's story on the National Geographic website in the article Intimate Portraits of Refugees: ‘We Don’t Want to Live in a War’ written by Anna Lukacs. 12 year old Nadia. She (on the right) and her 9 year old sister, Haseena, are the second generation of Afghan refugee girls to attend school. I found Nadia's story from the UN Refugee Agency's flickr page. The photograph of the sisters was taken by Sebastian Rich. Unnamed girl from a Syrian refugee camp in Jordan. I came across her image as part of the beautiful Dear World project, created by Robert X. Fogarty. The girl's photo was in the Dear World + Syrian Refugees article, which was made possible by partnership with CARE. True, the world is different today than it ever has been, but we humans must not forget who we are as a species - social mammals who feel, think, imagine, and create. It is these unique traits and qualities that has lead to us circumventing the world and now reaching out into space looking for more. We are curious beings, and that is what has brought us to continually move around. The ideas of borders, boundaries, and division could be our most detrimental concept because it creates the notion of us and them. We are all one, and we share this world. Here in the United States of America it is especially difficult to hear talk of exclusion and border walls. Is it really so easy to forget where we come from? The majority of our population is here because of immigrants, refugees, and those seeking a new way of life. In our globalized world today, borders are a place of increasing struggle, hardship, and violence. In July, the UN‘s refugee agency said that 45.2 million people remain displaced from their homes due to worldwide conflicts - a 19-year high. Many of these people are forced into these conditions due to conflict, economic, or environmental hardship, and would have never chosen to leave their home had they not had too. Most are looking for safety, for a chance, for a home. I hope this mural can offer a moment of reflection for those who come across it. I have recently started an ongoing series called Nostalgia, in which I explore remembrance, wonder, and play, while connecting to current time and place. This piece I speaks to me very much in that it brings back thoughts and memories about making things, and in doing that exploring and trying to understand how things work. When working on the street, placement is extremely important to me. Posters and pieces can be put up anywhere, but in order for them to hold more meaning, placement is key. I was walking through a park in San Francisco a while ago, when I came upon an old army bunker. There are many of these around the Pacific, on both sides of the Golden Gate, but this one was larger and had many beautiful old features like, gun turrets, stairs, barred windows, and iron doors like these. I wrote "we are all one" on the string line connecting the boys' can phones. It seemed necessary to touch on ideas of connection and freedom. One of my favorite events in the Bay Area is First Friday's in Oakland! This monthly event is an evening street festival charged with art and culture. Six blocks of Telegraph St. in downtown Oakland are closed for pedestrians and a huge number of artist booths, food trucks, and live music. Galleries, artist studios, restaurants and bars are opened up on Telegraph St. and beyond for the night and thousands of people come from all around for the event. I have always enjoyed attending as a spectator, but this last First Friday I was invited to contribute to the magic of the event by painting a live mural with my good friend, Max Ehrman (EON 75)! Max and I have collaborated on paintings a handful of times, but the piece we created for First Friday I would say is my favorite. Max has an incredible style of painting which folds linear line and organic flow into cohesive imagery. Combining some of my stencil portraiture and patterning, I would say we have begun to set a strong foundation for collaboration between the two of us. I greatly look forward to more painting with Max! 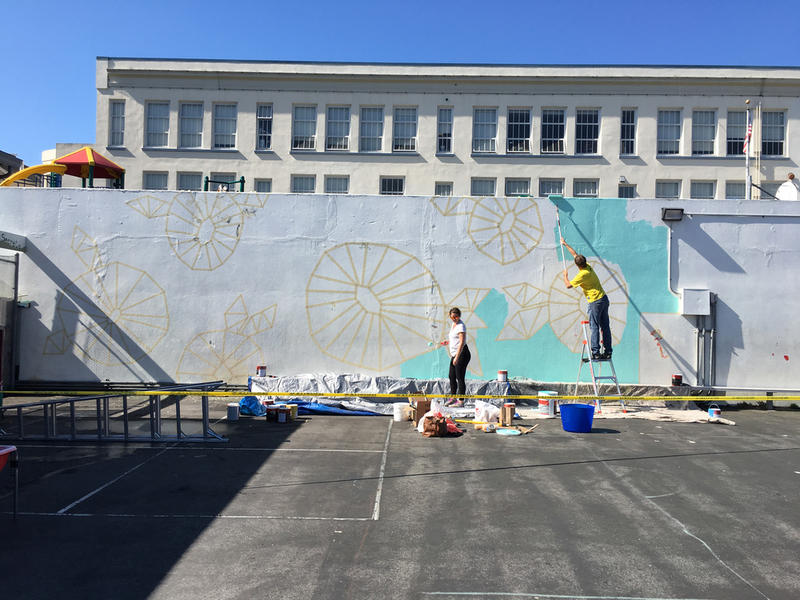 I was invited by a friend to help paint a mural at an elementary school here in San Francisco. It is part of the school's Dia de los Muertos festival and over 100 kids were to be involved with helping paint the wall. We arrived two days before to paint the background and tape off segments for the kids to paint on the festival day. It was a beautiful day in Noe Valley, and the background went up quickly and smoothly. I created an Aztec inspired pattern stencil to fill the large background and used two slightly different shades of teal / light blue to have the subtle stencil stand out from the wall. The day of the festival we grouped the kids into six smaller teams that came to help paint in the marigold flower petals at different times throughout the day. Alvarado Elementary School is a beautiful place, with a rich history of focusing on the importance of the arts and culture. The kids were amazing and it was fun to have them come help paint with some wonderful live Mexican music in the background and all kinds of other activities, celebrating the meaning behind Dia de los Muertos!